In Ryan's review of the Arlo Pro 2 back in July, he praised the updated line's battery life (several months off a single charge), 1080p sensor, local-storage capabilities, and plan pricing. On the flip side, the nighttime video quality, slow wake-up time when on battery power, and the less-than-ideal app were among the bummers. 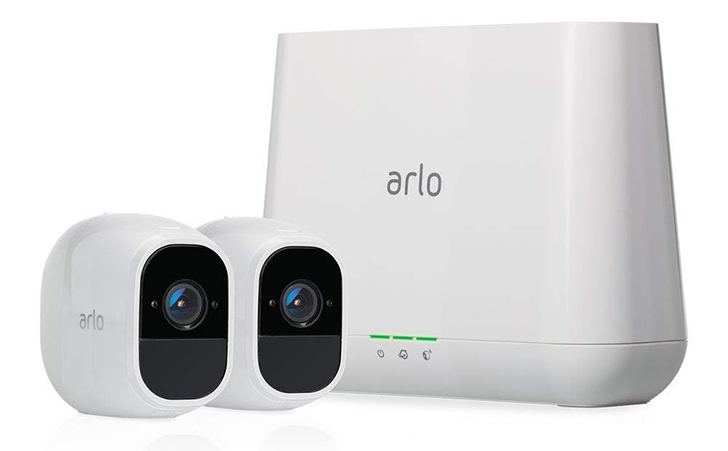 The two-camera pack currently being sold at a discount on Amazon includes two Arlo Pro 2 cameras, two rechargeable batteries, one base station with a built-in 100-decibel siren, two wall mounts, a power adapter and cable, an ethernet cable, a window decal, and a quick-start guide. The Arlo Pro 2 setup is compatible with Google Assistant, Amazon Alexa, and IFTTT. This is within a few dollars of the lowest price observed for the two-pack (which was available for a spell four days ago), according to CamelCamelCamel. Amazon is offering the discounted two-camera pack with Prime shipping. There's no telling when this deal will expire, so act quickly if you're interested.